Country house design is what some people would prefer to have for convenient living and a considerable degree of privacy and quietness, those individuals who are great haters of the city noise. 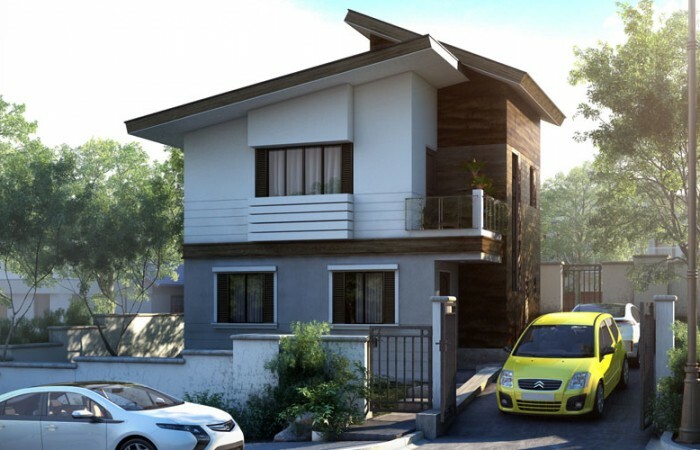 Pinoy House Design has an answer to this idea by offering Constantino. This two storey house design though, could be a good choice as well for everybody who loves country effect and can be built anywhere, in any type of housing locations and nature. 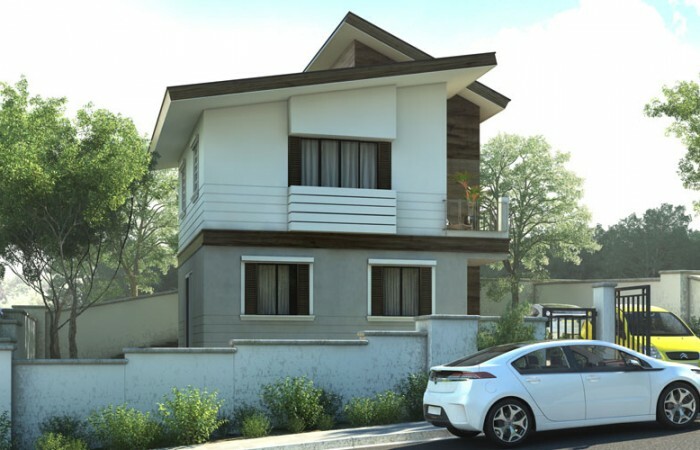 This house is a perfect idea for sloping lots, the construction of which can be carried out without changing the contour of the property lot. 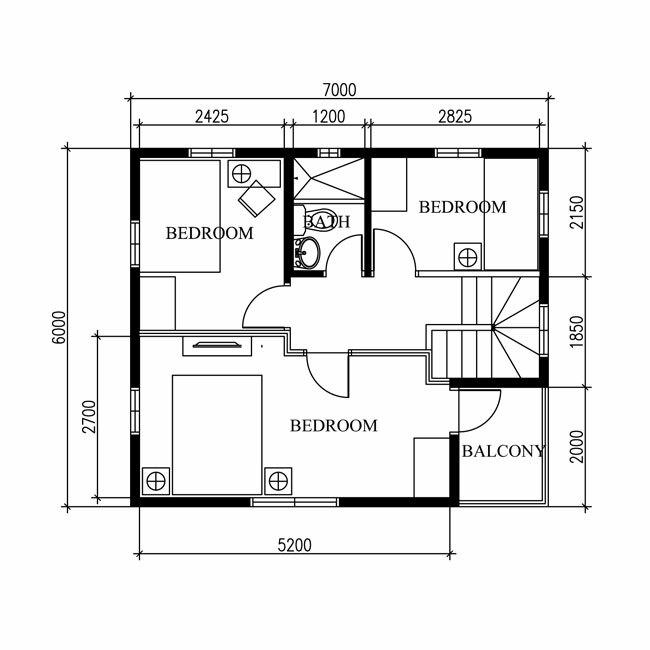 Two floor levels of 42 m² each can be accommodated in a minimum lot area of 90 m². The main features of this model include aluminum cased sliding windows, a pair of shed roof built at about 30 degrees opposite and complementing each other, steel railed balcony and two sections of concrete wall painted with two contrasting but matching colors. The sloping profile where this country house design sits is further enhanced by the concrete perimeter fence in a ladder style following the land’s contour. 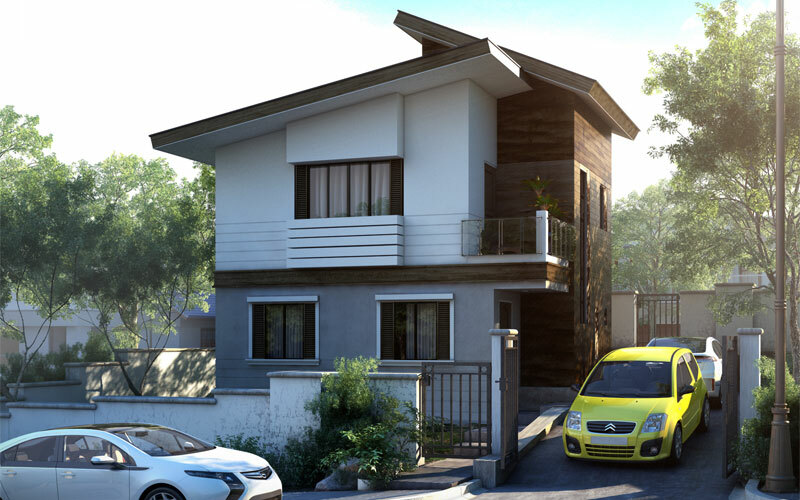 The two floor levels are designed in almost square shape where every inch is fully utilized for individual purposes. Designed to provide easy living to occupants, the rooms of this house were positioned for simplicity and convenience. The uncovered porch leads to the living spaces which are laid out in a friendly manner as required by the limitation of space. 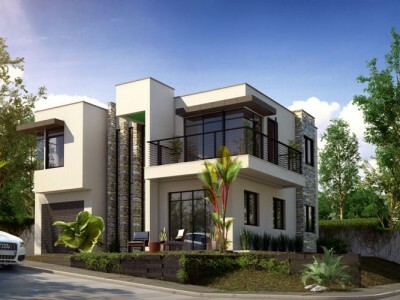 This country house design however has a complete house components just enough to serve the family. 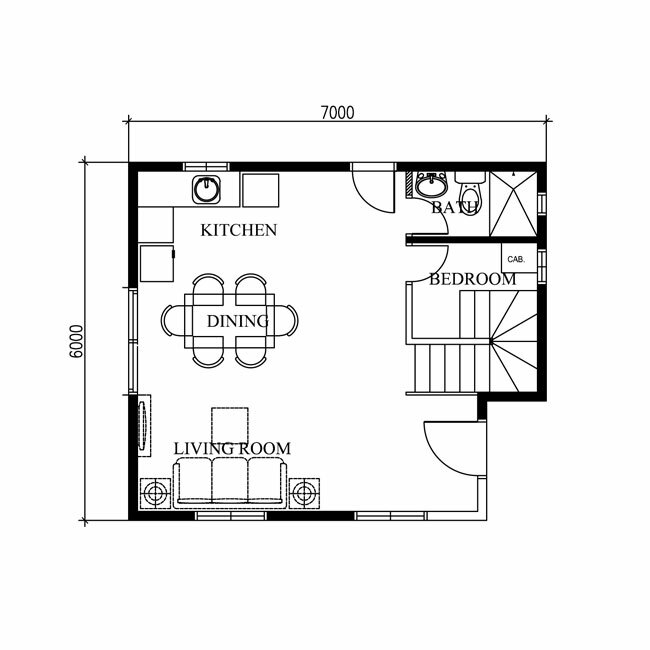 The second floor level hosts a three bedroom suite laid out in a customary L-shape. Each of the bedrooms is provided with individual walk-in-closet but share only one unit of toilet and bath. There is a small balcony positioned on the corner where a charming street presence can be felt and enjoyed. In contrast to the current trend of contemporary house designs, this particular model looks so cool and environment friendly. The overall outside appearance is so earthly as displayed by the combination and proportion of three colors used: white, grey and brown. The blend of grey and dark brown shades significantly brings drama to the forefront delivering both cool and warm effects. The available open space on the right side can be converted into future two-car garage. 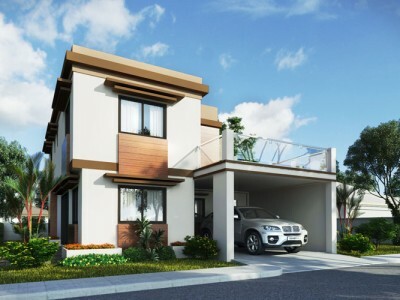 One of the most important features of this design is, because of the simplicity of the plan and materials to be used, it will require low maintenance budgets and thus not a big burden to the owner. 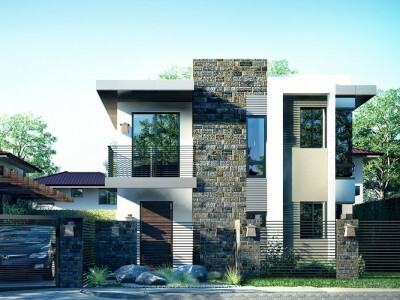 So for families who simply love convenience, peace, coolness, quietness and affordable shelter, this country house design is highly recommended.